81 year-old, yet energetic Angelo Stefanini; an Italian volunteer arrived at Andiamo in the evening today the 21st of March. Beautiful dancing and singing by Andiamo Secondary School students and members of staff who gathered at the gate of Volunteer House gestured the tender reception to the arrival of Angelo. 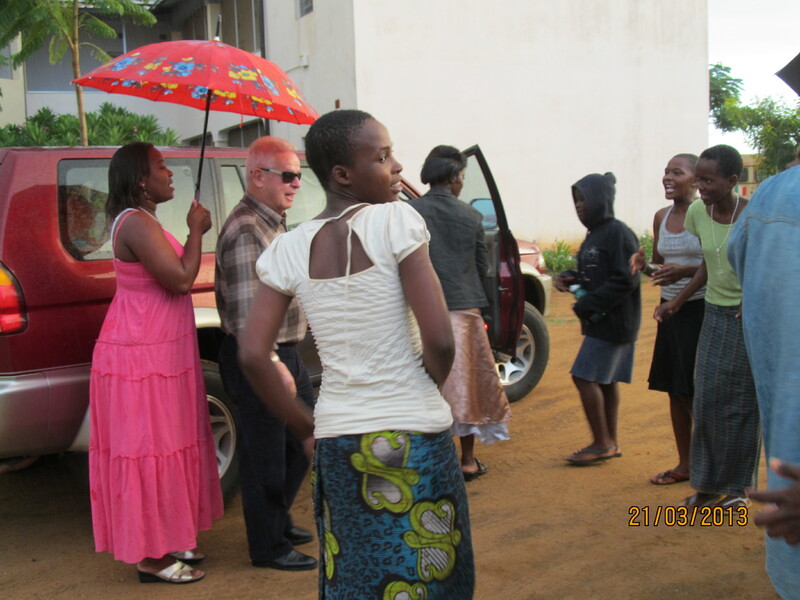 It was raining when Angelo arrived and to people in Malawi, rains symbolize blessings. His coming is indisputably quite a tone of blessings to Alleluya band most during its preparations to international performances. During the welcoming Eucharistic celebration scheduled right after Angelo’s arrival, Fr. Mario Pacifici extended his heartfelt welcome to Angelo asking him to feel at home during his stay at andiamo. “Angelo plays a saxophone and teaches music writing whenever he comes” reported Paul Subiri the Deputy Band leader. Among others, Madalitso Kaferakaso is quite a stupendous scholar Angelo has borne into Alleluya Band. “Malawi makes most of my best memories, thank God I am here yet again until June this year” says Stefanini in an interview after his arrival. This entry was posted in News from Malawi, Social Development and tagged Alleluya Band, Andiamo Secondary School, Angelo Stefanini, Fr.Mario Pacifici, Harry Pongolani, Madalitso Taferakaso, Malawi, Paul Subiri. Bookmark the permalink.